Mermaid parties last approximately 1 hour. It is recommended to get any important photos at the start of the party. 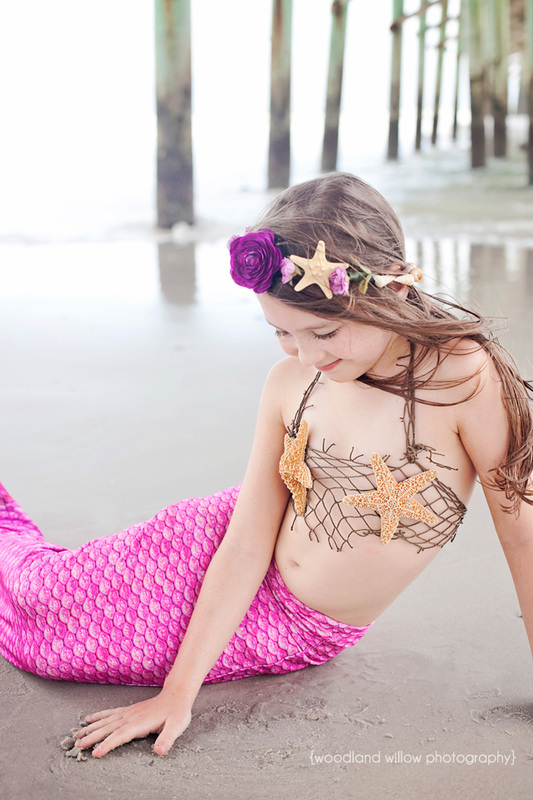 If you child has their own mermaid tail, they might want to get those posed pictures at that time. 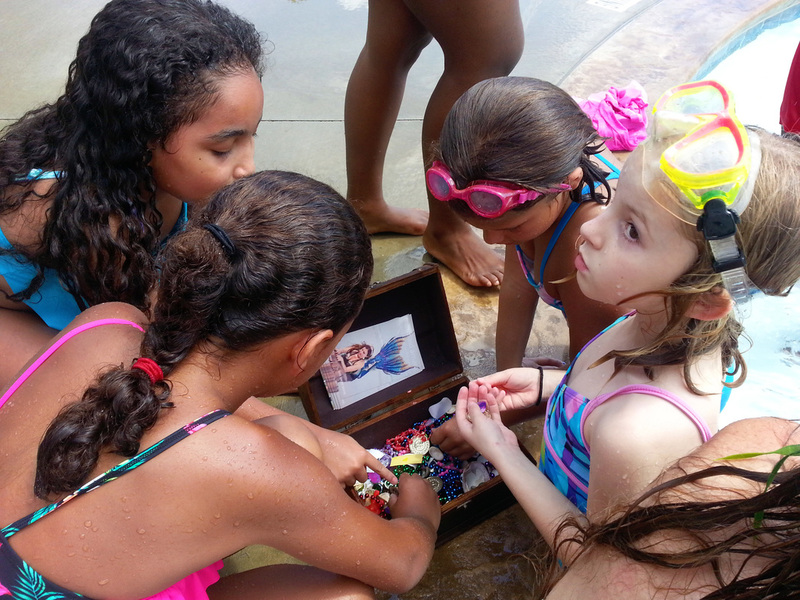 It is important to go over all the pool and safety rules with kids at the start of the party. 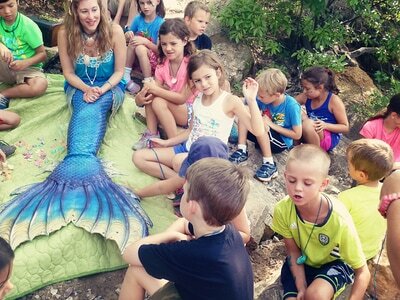 A parent or guardian MUST be in the water with a child who is swimming with a mermaid tail. 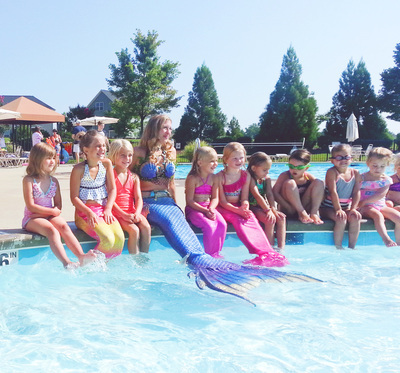 Mermaid tails are recommended for strong swimmers only. Please watch the videos on Safety. The treasure box will be available at the end of the party (last 10 min) so that kids can choose a treasure. This is also a great time for more photos. If you do not have a swimming pool or access to one, another option is a Dry Land party. 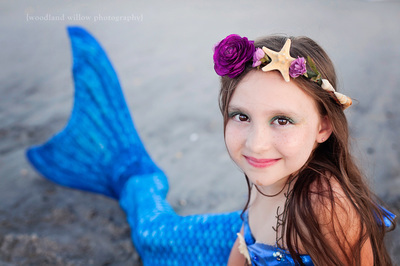 Amara can provide mermaid makeovers: paint/glitter nails/makeup, tattoos, crafts, or read stories. She can also be available to present the birthday cake or help while your child is opening presents. **Tails are available for rental for a fee of $40. Includes: walking tails, spandex swimming tails and several monofins. For swimming parties: all parents must sign a waiver before their child can use a rental tail in the pool. 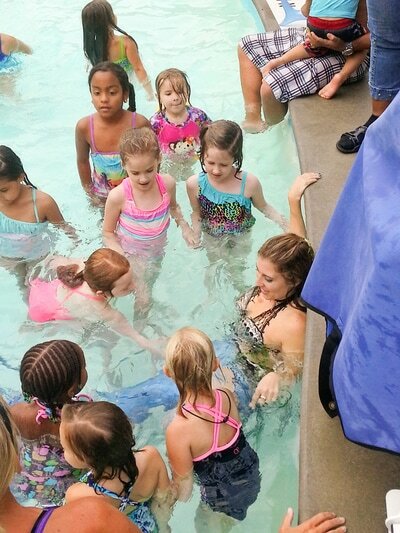 The adult/child ratio is 1:1 for kids swimming in a mermaid tail. A signed contract and non-refundable deposit of half is required to book your event. Prices listed are non-negotiable. A travel fee applies to areas more than 30 min outside of the 27539 zip code. Prices during holidays or last minute bookings (in 7 days or less) will be an additional $100. 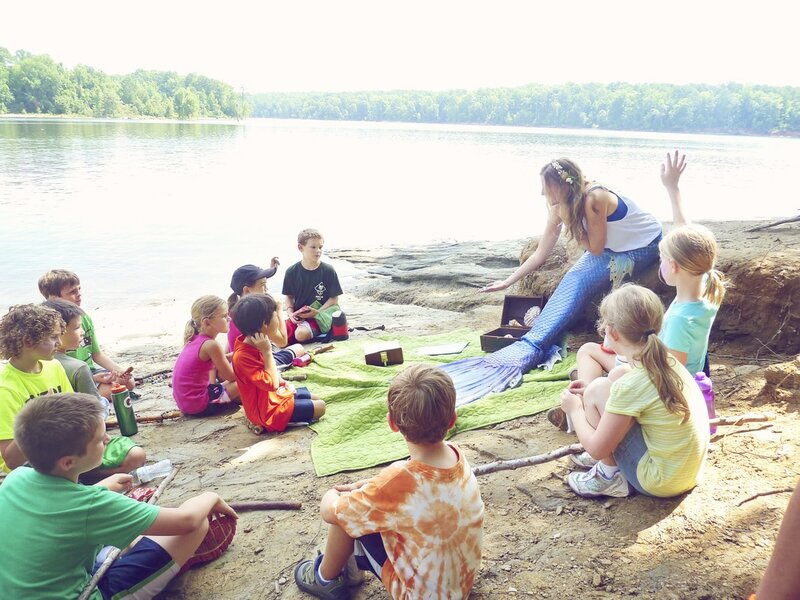 Amara can come make an appearance at your special event, festival, Summer Camp, or business. This can be a swimming or dry land event. The treasure box will be available at the end of the event (last 10 min) so that kids can choose a treasure. 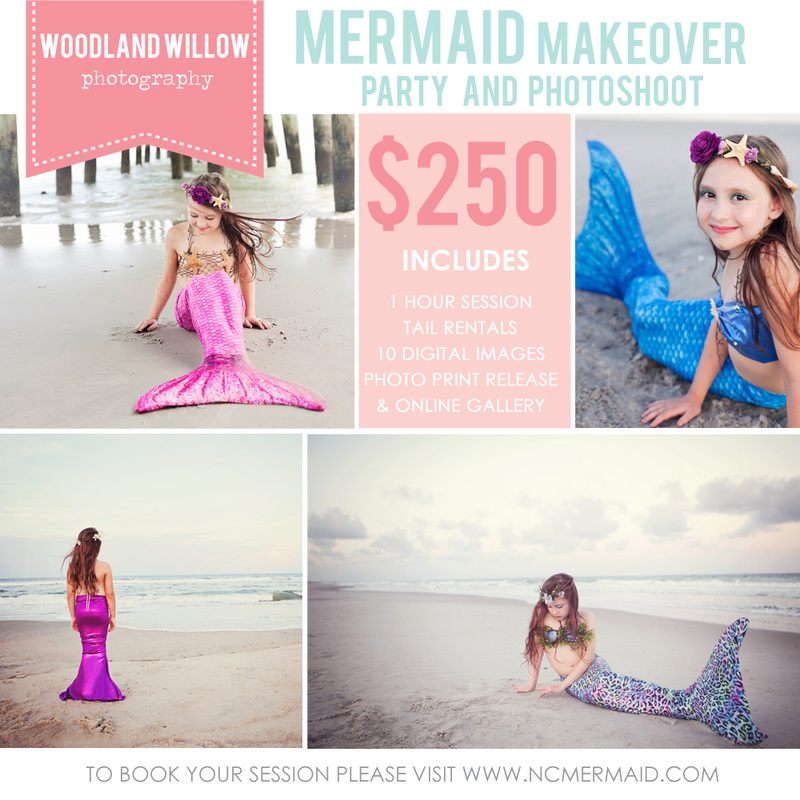 Have a special little mermaid or pirate that wants to surprise visit from a mermaid? Amara can come to your pool to visit with your child for a private swim and give your child one on one attention. Tail rental for child is included. 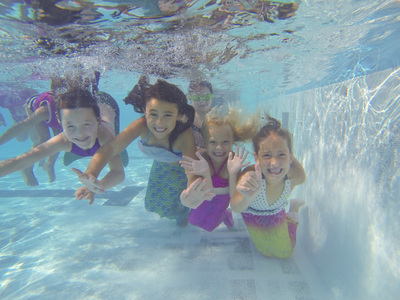 *Parents must sign a waiver and be present in the pool with their child. Contact her for more details. *Not for birthday parties or public appearances. *Only available in the Raleigh/Cary area. Amara is a professional photographer and can come to your party in human form or meet at a location of your choice for a customized photo shoot. She has several kids/teen tails available and some adult tails in limited sizing. Feel free to bring your own tail! All the photos are edited and uploaded to a private gallery. Price includes 10 high resolution images and a print release. **All pricing is for the Raleigh/Cary/Apex/Holly Springs area. There is a travel fee for areas outside of 27539 zip code.